The United Nations Security Council condemns a mortar attack by Syria on a Turkish border town that killed five people. The United Nations Security Council condemned on Thursday a mortar attack by Syria on a Turkish border town that killed five people, NBC News reports. 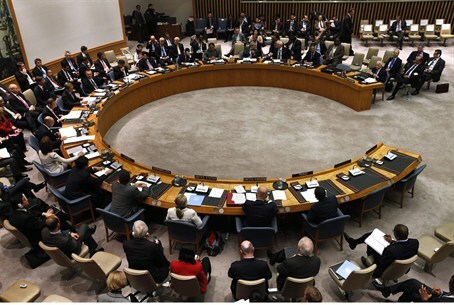 “The members of the Security Council condemned in the strongest terms the shelling by the Syrian armed forces of the Turkish town of Akcakale, which resulted in the deaths of five civilians, all of whom were women and children, as well as a number of injuries. The members of the Security Council expressed their sincere condolences to the families of the victims and to the Government and people of Turkey,” the Security Council said in a statement quoted in the report. The Turkish army attacked several targets in Syria on Wednesday night, in retaliation for the mortar attack. It was the first such incident since the uprising against Syrian President Bashar Al-Assad began in March of 2011. On Thursday, the Turkish parliament authorized cross-border military action into Syria, if deemed necessary by the government. The mandate, valid for one year, was passed by 320 votes in the 550-seat Turkish parliament. An aide to Turkey's prime minister said on Thursday that his country had no intention of declaring war on Syria. "Turkey has no interest in a war with Syria. But Turkey is capable of protecting its borders and will retaliate when necessary," Ibrahim Kalin, a senior adviser to Prime Minister Recep Tayyip Erdogan, said on his Twitter account. "Political, diplomatic initiatives will continue," he said. Erdogan later said that Turkey would never want to start a war and parliament had authorized foreign deployment of troops as a deterrent after the fatal Syrian shelling of southeast Turkey. At the same time, Erdogan lashed out at Syria over increasingly growing number of attacks on Turkey as the violence escalates on border towns between Assad forces and opposition fighters and said these attacks can’t be an accident. He suggested the Syrian shelling was not accidental, saying that such shells had fallen on Turkish territory on seven previous occasions since the civil war began there.